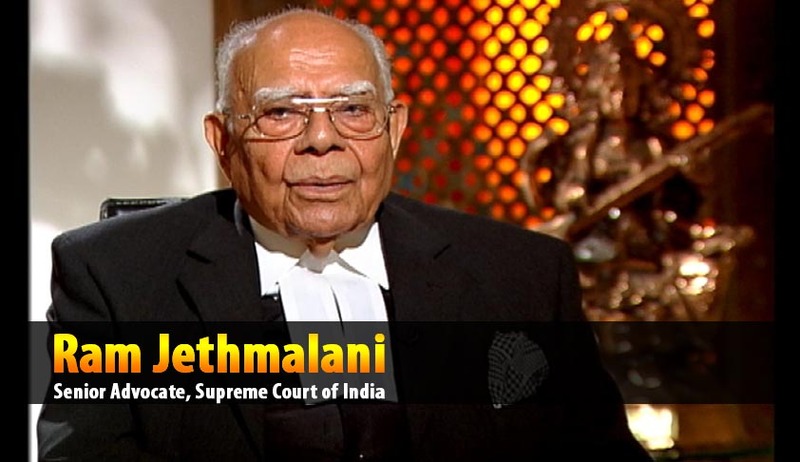 The veteran lawyer Ram Jethmalani has actively disapproved the setting up of the National Judicial Appointment Commission for the appointment of judges. The former law minister said it would pave the way for appointment of judges who are "pliable and favorable to government". Calling it a fraud on the Constitution, the celebrated lawyer stated that, “A litigant should not be part of a process for appointment of judges and the government is the biggest litigant in the country," he said adding, "Corrupt politicians always want a corrupt judiciary." "We must have an appointment system in which litigants should not have a say. People approach court against corrupt and illegal actions of the executive and there may be apprehension and suspicion that a judge, in whose appointment government played an important role, may favour the government," he also said. Expressing his dissatisfaction over the present collegium system for appointment of judges, he suggested that there is a need to evolve another system in which people from Bar and academic field are involved. At this point, it is noteworthy that he made these comments just few days before the constitutional bench’s verdict on the constitutionality of the parent Act, i.e. the NJAC Act. He also spoke on the occasion of a seminar on NJAC, he said the present provision for giving representation from SC/ST or other category in the commission is a part of vote bank politics which should be disallowed. He also expressed concern over the deterioration in quality of judges elevated to the apex court. Another eminent lawyer of the country Anil Divan termed the NJAC as a potential "time bomb" which can destroy the basic constitutional structure of separation of powers among the three organs of government. He said if the government is allowed to pay a role in the process, it can block appointment of any person not pliable to it by creating unfavorable report against him through Intelligence Bureau or other agencies. Blaming the Congress and BJP for unanimity over the move, he said that they are not in favour of an independent judiciary. However, backing the establishment of NJAC, Andhyarujina said, “Nowhere in the world did such a situation exist where judges will decide on appointments.” He vouches for giving the idea a chance to work out. The seminar is organized by leading publisher LexisNexis.